Founded in 2016, Rietveld Architects (RA) prides itself on delivering architecture that exudes passion, creativity and attention to detail, while still being a direct reflection of its clients’ wishes. Principal Mark Rietveld is a registered architect and member of the Australian Institute of Architects, and has more than 30 years of experience in the industry. Prior to establishing Rietveld Architects, Rietveld was the principal design architect at Giorgi for more than a decade. 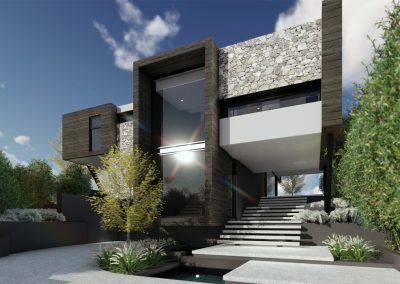 During this period, the projects he designed received more than 60 industry accolades, including the Housing Industry Association (HIA) Home of the Year award and the Australian Apartment of the Year award in 2014, as well as the Western Australian Home of the Year award in both 2013 and 2014. 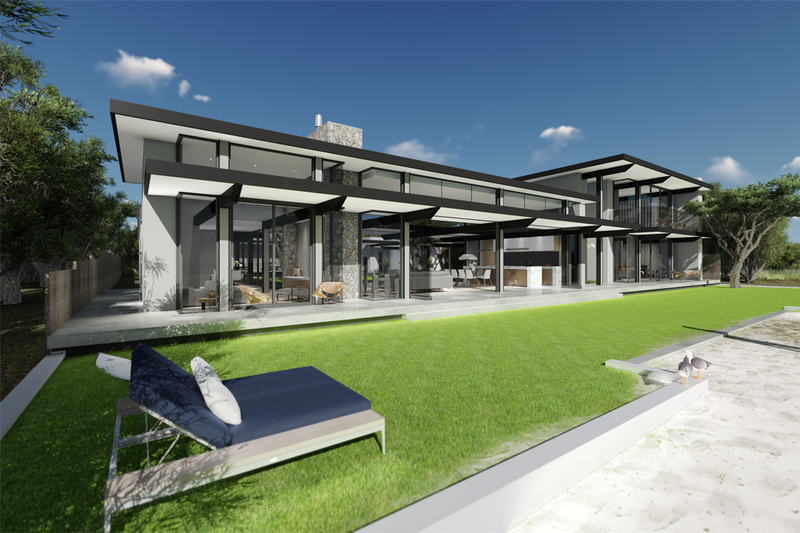 Rietveld Architects produces high-quality architecture – where technology combines with design and detailing to deliver a result that’s both innovative and original. The company has a long history of residential and apartment design, but it believes quality design can be applied equally to all facets of architecture. 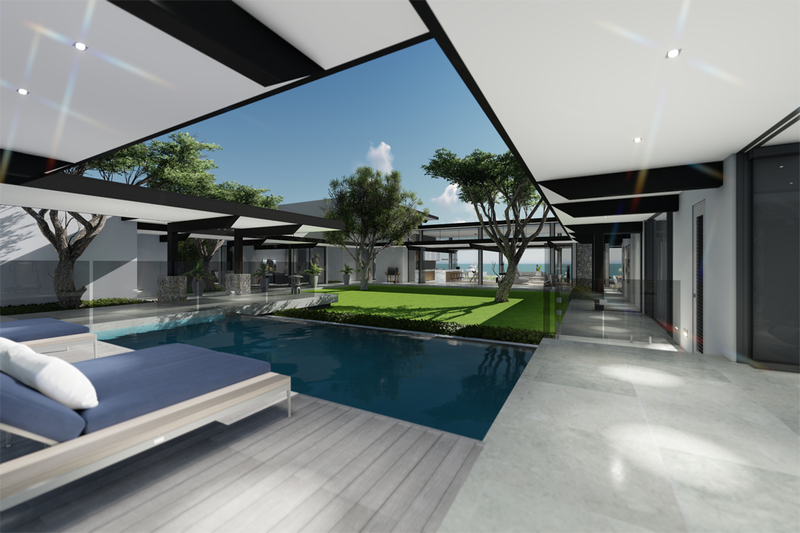 As long as there is a passion for boutique and personalised architecture, the team at Rietveld Architects will be able to assist. Architecturally designed by Rietveld Architects, this coastal residence offers spectacular seaside living. Designed to accommodate several families at once, the home features a series of interconnecting pavilions that are arranged around a central courtyard. Containing a gym and a swimming pool, the central area is a peaceful retreat that’s protected from both the harsh sea winds and passing beachgoers. Due to the exposed nature of the site, low-maintenance materials such as precast concrete, stone, ULTRABOND panelling and Biowood wall linings were integrated into the design. The complementary mix of materials infuses the home with a contemporary beachside vibe. Large and open, the main living area features expansive glazed windows on either side, which afford varied views of the rising and setting sun. 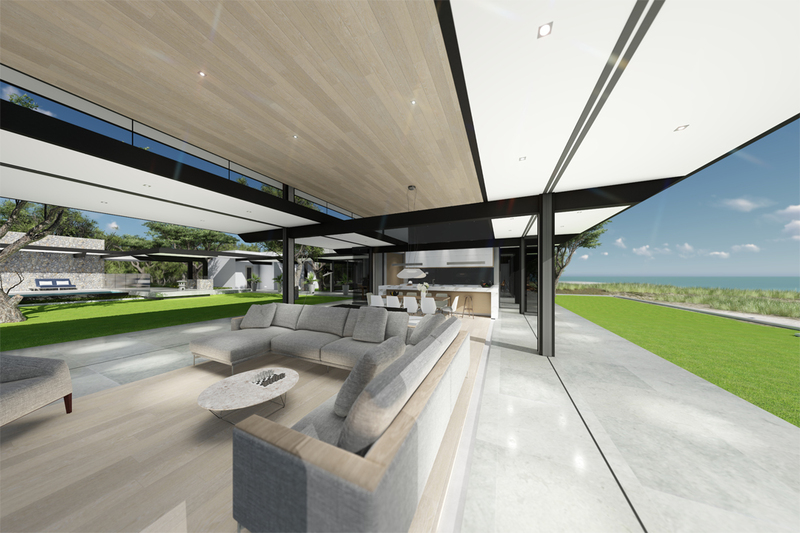 Highlight windows ensure ample light penetrates the interior spaces, while the large cantilevered verandahs ensure the views remain uninterrupted. Simultaneously simple and striking, the home exemplifies the skill and capabilities of the team at Rietveld Architects. 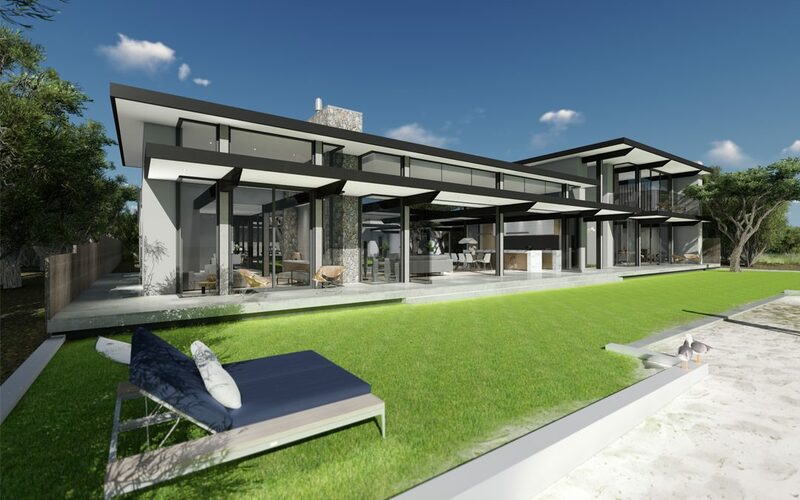 Specialising in innovative, original and well-considered contemporary designs that embrace our unique outdoor lifestyles, Rietveld Architects ensures your dream home is designed and built just the way you envisioned.